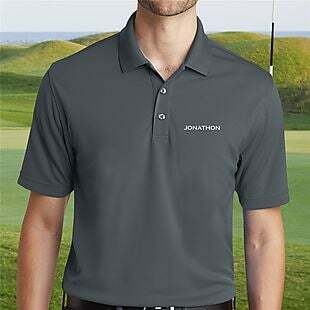 Exclusively for our readers, this Personalized Port Authority Golf Polo Shirt drops from $30.99 to $16.98 when you add the code BDSPRINGGLF at checkout at Gifts for You Now. Plus this drops shipping to a flat $5, which saves $4 in fees. This is the lowest price we could find anywhere. 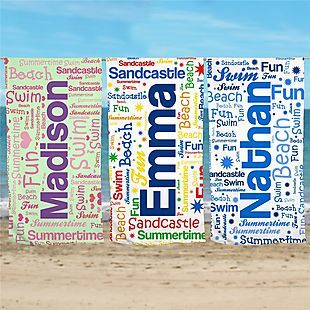 Choose from four colors and two designs in sizes M-2XL. Extended sizes incur an additional fee. 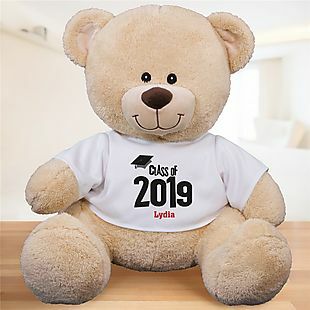 You can personalize the shirt for free. Sales tax is charged in most states. 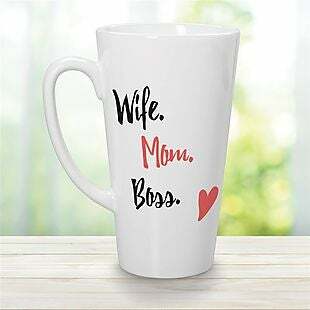 Exclusively for our readers, this Personalized Mom Latte Mug drops from $22.98 to $12.98 when you add the code BDMOMBOSS at checkout at Gifts for You Now. Plus this drops shipping to a flat $5, which saves more than $3 in fees. This is the best price we could find based on a similar mug. Sales tax is charged in most states. Exclusively for our readers, this Designer-Inspired Embroidered Nylon Travel Tote Bag drops from $36.98 to $14.98 when you add the code BDAPRTOTE15 at checkout at Gifts for You Now. This drops shipping to a flat $5, which saves more than $4 in fees. You must choose economy shipping to see the reduced price. This is the best price we could find based on a similar tote. 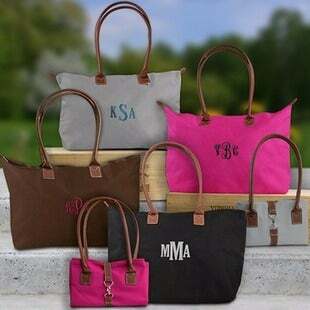 This is inspired by the Longchamp large tote, which retails for $145! Choose from five bag colors, plus add your choice of thread color. It measures 13" x 21" x 7" and is made of nylon with faux-leather handles. It can be folded for storage. Sales tax is charged in most states. 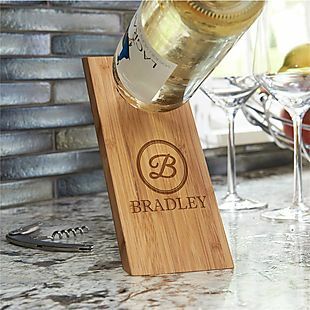 Exclusively for our readers, these Personalized Wine Bottle Holders drop from $28.99 to $14.98 when you add the code BDSPRINGWN15 at checkout at Gifts for You Now. Plus this drops shipping to a flat $5, which saves more than $3 in fees. This is the best price we could find anywhere based on a similar item. They are made of bamboo, and you can choose from 21 styles. 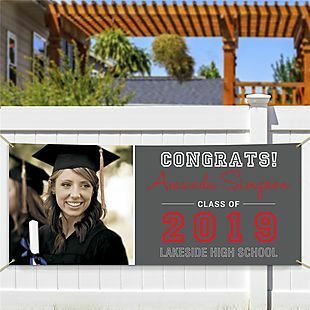 Personalization is free, and sales tax is charged in most states. 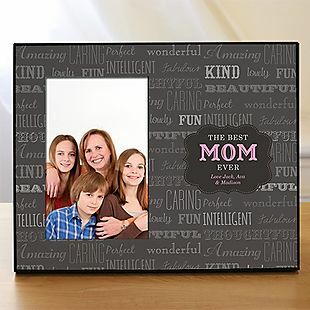 Exclusively for our readers, select Personalized Mother's Day T-Shirts drop from $21.99 to $10.98 when you add the code BDASDMOMTS at checkout at Gifts for You Now. Plus this drops shipping to a flat $4, which saves more than $4 in fees. You must choose standard shipping to see the discounted price. 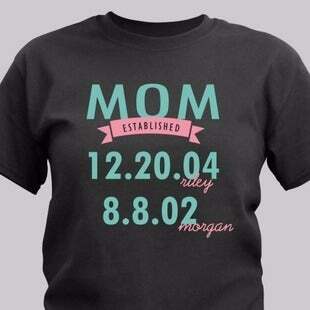 Choose from 23 different styles for mom or grandma. Sales tax is charged in most states. 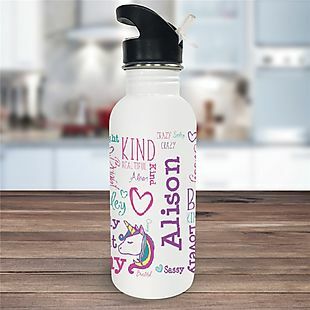 Exclusively for our readers, select Personalized Water Bottles drop from $18.98 to $10.49 when you add the code BDKIDWATER419 at checkout at Gifts for You Now. Plus this drops shipping to $5, which saves $2 in fees. You must choose economy shipping to see the reduced price. This is the lowest price we could find by $2 based on a similar product and is one of the lowest prices we have seen. The bottles are made of stainless steel and hold up to 20 ounces of liquid. You can choose from 43 different styles. Sales tax is charged in most states. 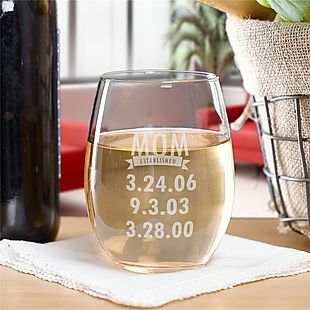 Exclusively for our readers, this Engraved Mom Established Stemless Wine Glass drops from $13.99 to $6.98 when you add the code BDMOMEST7 at checkout at Gifts for You Now. Plus this drops shipping to a flat $3, which saves at least $3 in fees. This is the lowest price we could find based on a similar glass. Sales tax is charged in most states. Low on wrapping paper? No problem! 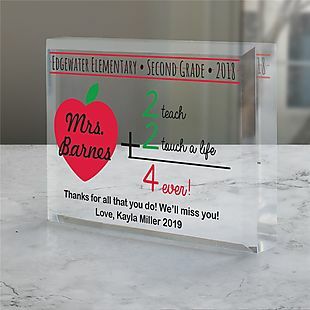 Gifts For You Now will ship your purchase in one of their premium gift boxes for only $3.75 extra. Opting in is easy: just check the "Gift Box" option for each item in your shopping cart.